We are proud to announce that we will be attending the 2017 Cleaning Show this year in March, due to take place at the Excel in London. Most bin wash machines on the market today (previously including Morclean models) have 3 basic stages of filtration which are based on a micron level of fine mesh using industry standard gauze type filters. The water is filtered sufficiently to be perfectly good enough to be re-used throughout the day, but the water isn’t particularly clean given that the operators are washing out contaminated waste bins. If a finer micron filter is used they tend to ‘blind’ (which basically means block) and so filters with large enough holes tend to be used so that water can be re-used all day without blocking. However Morclean have recognised bacteria will build up in the system and the overspray of atomised water from the jet washing activity will contain airborne bacteria. It can be assumed the bacteria would build up and increase and grow during the day. Morclean have been developing a new system where we use additional filtration in a new and innovative way to ensure that we inhibit bacteria in the contaminated water. Instead of using traditional components, and making machines in the same old way, Morclean have taken a fresh look at how to improve what’s available today and to stand out from the crowd. Morclean are confident that this is a brand new and exciting development, and a first in the bin washing industry. Morclean have Registered the IP for the Design of this system which has been configured to process the waste water throughout the day. 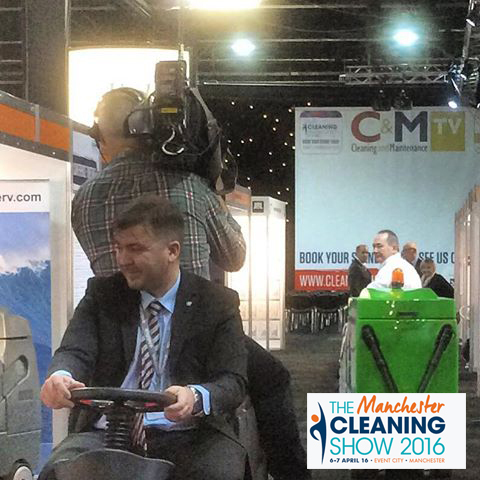 From 1st July 2016 all mainstream Morclean bin wash models, including the best-selling bin wash ‘Custom Plus’ (as seen at the new Manchester Cleaning Show) will now have 5 stages of filtration. The new 6 stage water treatment system will also be fitted to the multi- award winning bin wash CITY, which we recently exhibited at ISSA Interclean in Amsterdam, as well as the STATIC machine. The new filtration system consists of a series of secondary filters which continually condition the water, and these extra 2 filters vastly improve the traditional 3 stages of filtration. Instead of filtering the water in in the traditional way, Morclean are filtering the water separately in the 4th and 5th stages with aeration so that the water quality is continually improving. What’s more - the extra filtering is carried out when the machine is idle. In effect the machine is cleaning its own water when it’s idle and not being used. The FDA21 approved impregnated silver inhibits the growth of bacteria, and because the wash water is being continually conditioned, the water simply gets cleaner and cleaner the more it is recycled. The filter and the media within it are FDA21 approved. Morclean are confident that the new and innovative 6 stage system is new to the market, and they firmly believe it is the only Bin Wash machine on the market to filter the water so efficiently. It’s the only Bin Wash machine with 5 stages of filtration (not 3) the only machine designed to inhibit bacterial growth, and a first in the industry. 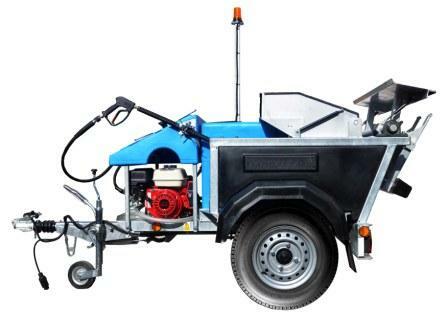 Morclean have been continually developing their series of bin wash machines so that we remain ahead of the competition. They are confident in making the claim that this is the Best trailer mounted bin wash machine on the market, and the UK’s most popular and best-selling bin washing machine. All the latest news on the Morclean wheelie bin washers can be found by following our blog. 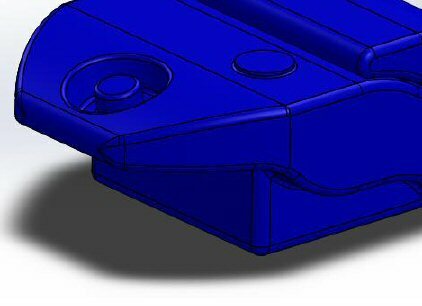 Below is a little sneak peek at our latest Binwash News! 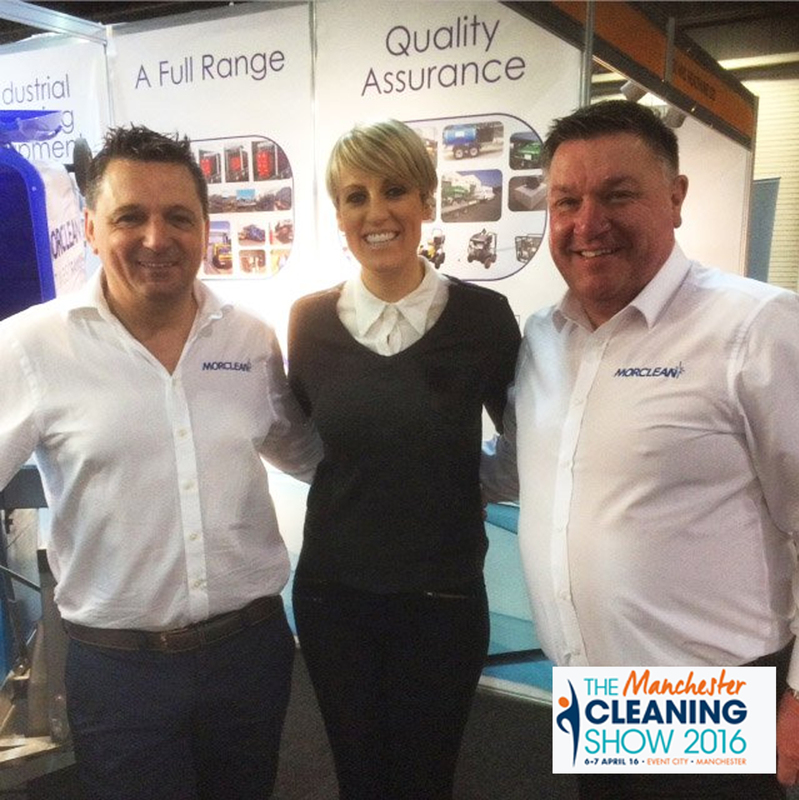 Morclean are delighted to announce that we will be exhibiting at The Manchester Cleaning Show, April 6th-7th, 2016, Event City Manchester. The Cleaning Show is the UK's most major event designed specifically for the Cleaning and Support services sector, anyone responsible for cleaning, maintenance and hygiene from healthcare to hotel kitchens. Following on from this year's popular show which was held at ExCel London, the organisers, The British Cleaning Council and Quartz Media have decided to bring the show to Manchester. We have chosen this opportunity to launch our new 2016/17 model range of award winning mobile trailer mounted bin wash systems and will be revealing the new model at the show. 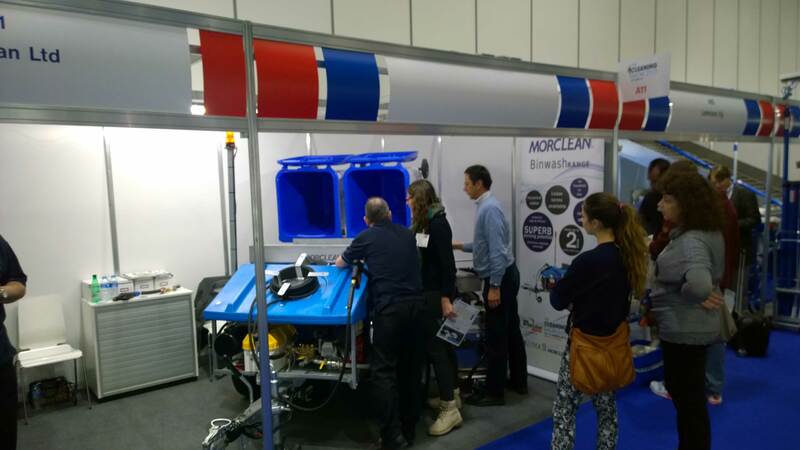 Morclean were delighted to exhibit at The Cleaning Show 2015, to demonstrate the huge improvements made the the Binwash machine during 2014 and 2015. The stand was well received by the visitors and exhibitors alike, and we had a throgoughly enjoyable time at our first London show. Take a look at some of the photos from the show below! All in all the week was a brilliant success but we won’t be able to measure that success for a good few months whilst leads are followed. 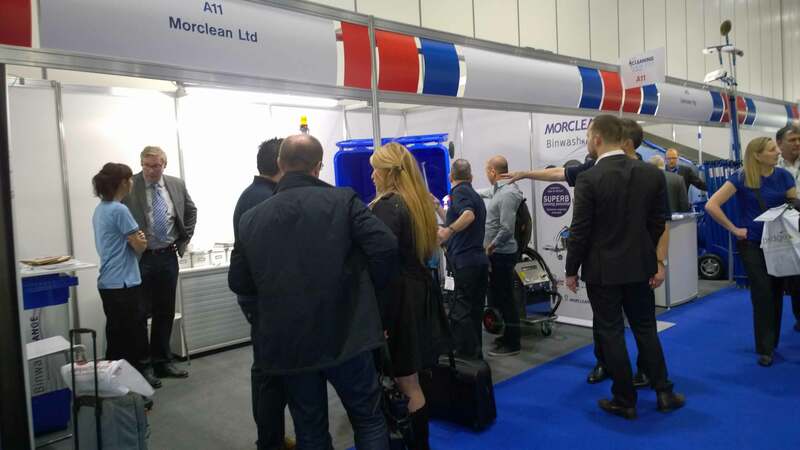 Morclean would like to thank every single person who visited our stand for information, chats, networking and demonstrations, it was brilliant to see so many smiling, familiar and new faces enjoy our machine as much as we do. 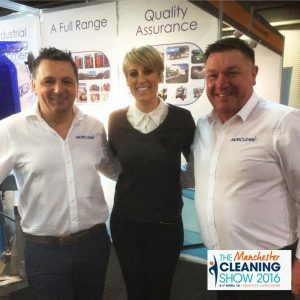 We’d also like to thank the show organisers, Quartz, for such a smooth and enjoyable show, and ofcourse, the Morclean team both at the show and running the ship back in the office. It was a real team effort! 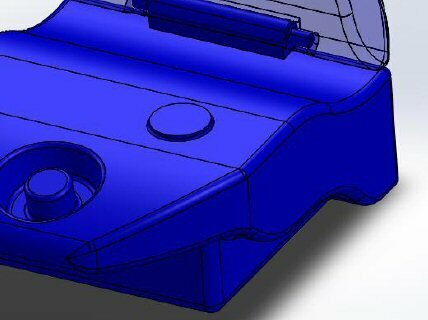 As 2014 comes to a close and we start to see in the New Year, Morclean has an exciting announcement to make about the concept design for the 2015/16 Bin Wash Machine. Due to the fantastic success of the bin wash machine at various shows worldwide since its launch in 2012, including the ISSA Interclean Amsterdam and The Cleaning Show, Morclean will be updating its machine to a more stream-lined, aesthetically pleasing design in 2015/16. 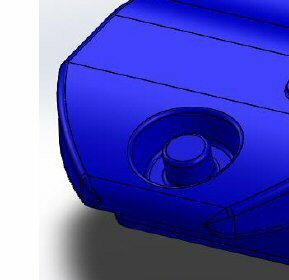 Above, you will see the new teaser images for the concept design. 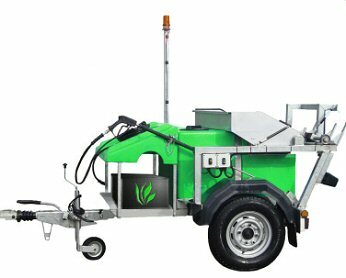 Here at Morclean you know we’re never content – we like to listen to feedback and make improvements where our customers feel we need to…Well we’ve listened to the feedback we’ve had and decided to re-model the shape of the Morclean Wheelie Bin Cleaning Machine. We’re not, however, changing any of the fundamental structure; the binwash will still feature the parts you love such as the robust galvanised steel lift mechanism and the sturdy Type Approved Trailer (EC Whole Vehicle Type Approval ECWVTA). Concept for the new 2015/16 models is underway and we hope to be able to announce the launch day some time in 2015! Morclean are pleased to announce we will be exhibiting at The Cleaning Show, London in 2015. The Cleaning Show has moved to the capital this year from its usual home at the NEC Birmingham. The exhibition, which will be held at the Excel, London is the largest Industry exhibition in the UK. You will be able to find the Morclean team at Stand H5 (near the window cleaning competition), between 10-12th March 2015. More information to follow soon! 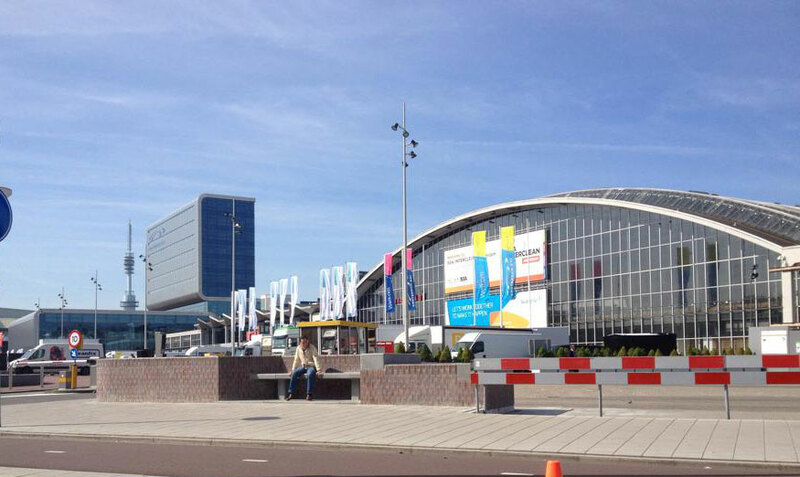 Between 3rd-4th September 2014 Morclean exhibited at the Cleaning Expo, Scotland. The event was held at the SECC in Glasgow over two days and despite a disappointing footfall, the event bought some exciting leads to Morclean for the award winning Binwash Machine. The Binwash City has recently achieved the national Green Apple Environmental Award where it will be presented with an award at the Houses of Parliament on November. The Morclean Binwash machines are road-towable, fully self-sufficient bin cleaning machines which are manufactured in the UK by Morclean. The machines offer an affordable entry into the lucrative binwash machine, where cleaners can earn up to £160,000 per year from just one machine. They make fantastic start-up business machines or additions to existing fleets with existing rounds. 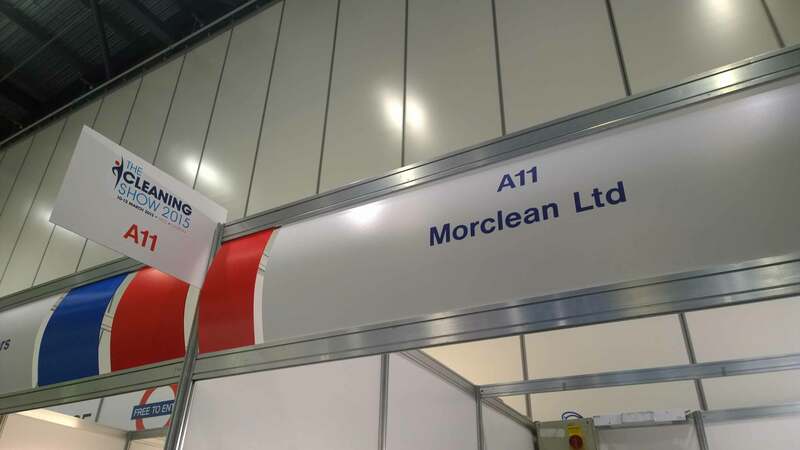 Morclean would like to thank everyone who visited the stand at the Cleaning Expo Scotland, and we look forward to welcoming you back to another very soon. The Green Apple award is a national award given to companies that are trying to make an environmental change for the better. Morclean originally developed the Binwash machine a few years ago with a petrol engine, but with the market, especially in Europe, turning to more eco friendly, energy efficient power sources such as electricity, Morclean decided to take the bold step and develop a Binwash machine that incorporated this concept. "Up, Up and Away.. An Interclean Roundup and What's Next!" SO, as many of you already know (because I've been bombarding you with the news everyday), we exhibited for the very first time at Interclean this year. The exhibition, which we have often visited but never exhibited at, was held between 6th and 9th May 2014. We took the BinWash machine over there to show the people on the continent just what they were missing, and boy did they enjoy what we had to offer! 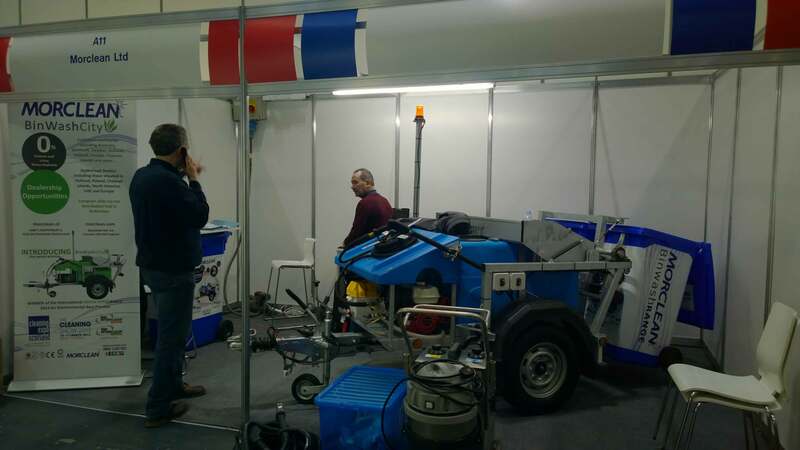 We welcomed visitors, old and new customers to the stand in abundance and enjoyed showing off our latest developments to the machine which include a blue molded cover and improved filtration tray. What's next then, I hear you cry? 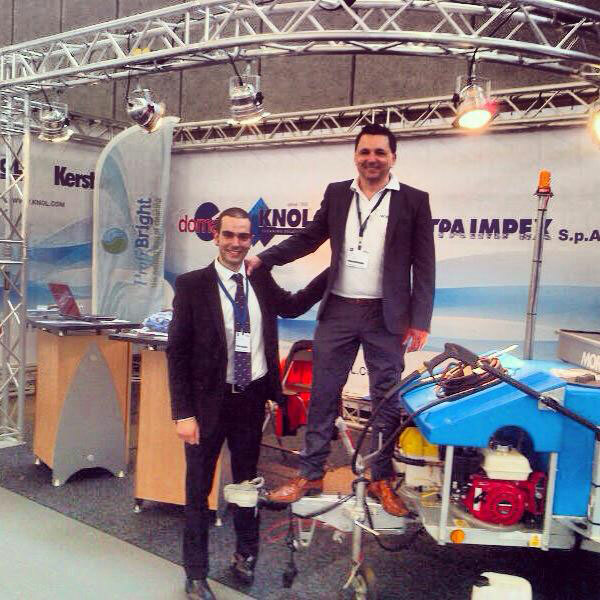 Well... due to the fantastic feedback we received at the Amsterdam Interclean and being able to establish dealerships now all over the continent including Poland, The Netherlands and more, Morclean are pleased to announce we will be exhibiting at the Polish Interclean in April 2015 with our Polish Distributors, Bravos. If you can't wait until then to speak to us though, you can find us at the Birmingham Expo event on 17th June where we have a stand. We want to thank everyone who helped make Interclean, for us, a resounding success and we look forward to welcoming many of you at Interclean 2015! We're also very pleased to announce that we now have official Morclean BinWash dealers in Poland and The Netherlands as well as Jersey and obviously the UK. You can find out further information about our official dealers on our website. So it's all onwards and upwards or 'to infinity and beyond' for our Morclean BinWash machines... 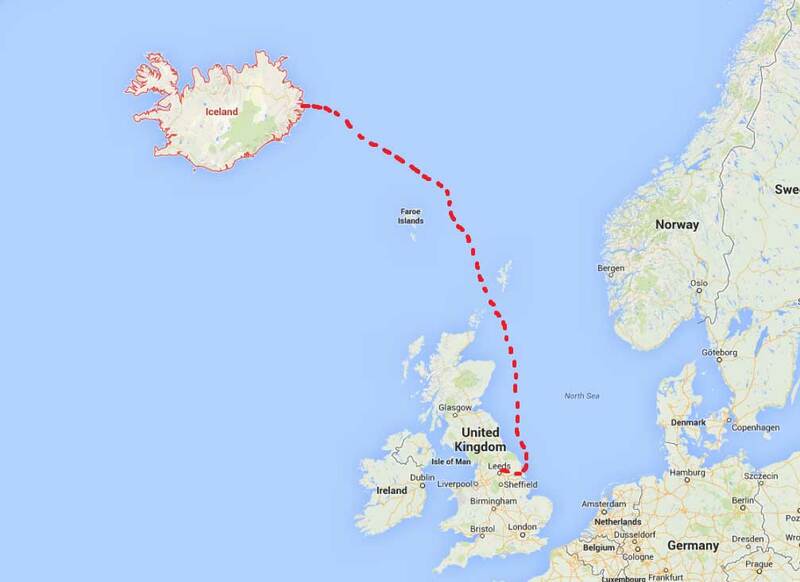 I wonder where one will land next! ?